With the rise of digital content marketing, the amount of content being created online every day has become overwhelming. The Content Marketing Institute’s 2015 Reports show that 70 percent of B2B, and 69 percent of B2C, marketers are creating more content this year than last year. Therefore, if you think your content may already be getting lost in the noise, it’s only going to become more difficult to get your audience’s attention in the future. Fortunately, there are a lot of tactics for promoting content online – you just have to be sure you’re not overlooking them. Having a fully integrated promotion strategy across owned, earned and paid channels helps ensure you receive maximum exposure for the content you create. In this chart from a Nielsen report, you can see that the top three influential factors for B2C purchasing decisions fall into the owned, earned and paid categories. 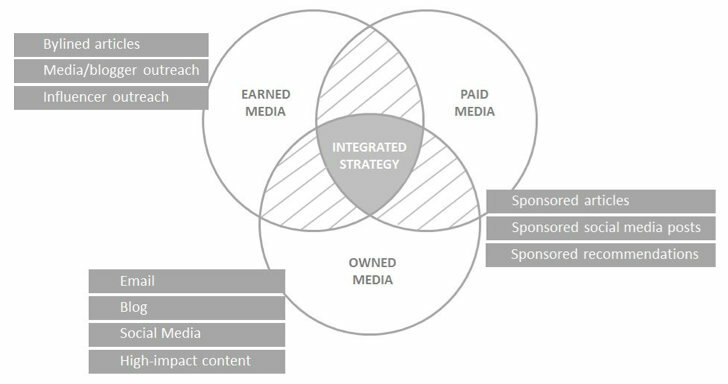 An integrated strategy is imperative because it provides the necessary balance between the channels you can control, like owned and paid media – and the channels that influence your audience, such as earned media. For example, using only controlled channels would allow you a high level of control, but it would come at the cost of powerful influence over your audience. Alternatively, limiting your strategy to only earned media could greatly influence your audience – but at the cost of control over messaging, timing and frequency. A significant hurdle for PR pros and content marketers in implementing a truly integrated promotion strategy is understanding what tactics are available to them. Here are some of the key components of earned, owned and paid channels to help you get started. Owned media can be thought of a couple of ways: it’s the content you create, like blog posts and advanced content, and it’s the channels you control for distribution, such as email and social platforms. Even your company’s website is owned media, as it’s a channel over which you have total control. Don’t overlook the importance of your site’s architecture and good landing pages for content! When looking to promote any piece of content, it’s good to start by evaluating the owned channels you have that will be most effective. Use every resource you have that’s relevant to your content, but be careful not to overwhelm your audience. For example, social media posts are great – but spread them out and change the language and imagery from time to time to keep your feed from looking monotonous. Similarly, it’s a great idea to share your content with your email marketing list but you may not want to send it to every person on the list. Is your content high level and best suited for people who recently opted in, or is it really specific, detailed information that only longtime subscribers will find beneficial? You may already have a blog strategy in place, but when developing your integrated promotion strategy, be sure to update your editorial calendar to include relevant articles surrounding the same topic. Include clear calls to action that lead to your content. Beware that siloed departments can pose a threat to promotion across owned channels. There may be a separate person or team handling social channels, someone else that oversees email marketing, and yet another team that’s actually creating the content. It’s imperative that these teams work together before content goes live to communicate needs and expectations to seamlessly work together to gain exposure for the content. Earned media is exposure that the brand doesn’t control or pay for – best represented by media coverage or organic social shares. While earned media can provide the most credibility, it is also the hardest to achieve, which makes it a challenging stand-alone strategy. The most obvious and common way to achieve earned media is by creating targeted media lists and pitching the media directly. That said, sometimes the people you would like to share your story aren’t associated with media outlets, but are influential to your audience across social channels. Connecting with influencers directly on their most prolific social platform, commonly known as influencer outreach, is a great way to earn media coverage, but is often done haphazardly and not executed as an intentional tactic. Another great way to encourage influencers to share your content is by including them in the creation of the piece itself (which technically falls into the category of owned media – but with earned media results). Input from experts adds credibility, and they are usually more than willing to share something they helped create with their audiences. This is a perfect exampled of owned and earned media working together as a part of a larger integrated promotion strategy. Want to see how rich media content can engage and influence consumers? 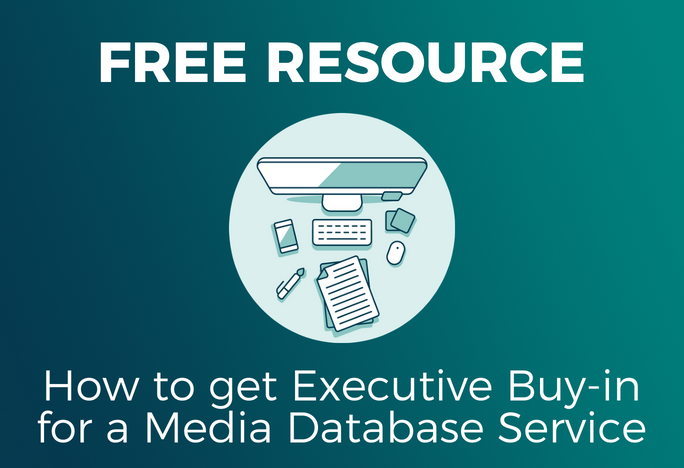 Get our free white paper now! Paid media tactics can be another challenging hurdle for some organizations, especially when PR pros are accustomed to focusing solely on earned media. However, it’s an important part of a balanced integrated strategy that maximizes outputs. 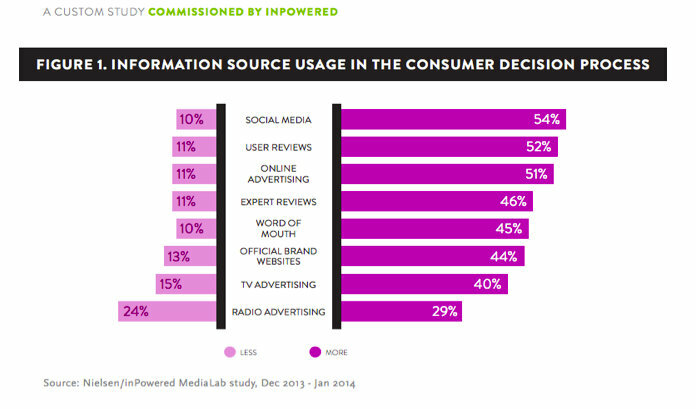 More companies are already on board with paid media than you may think. The Content Marketing Institute shows us that 80% of marketers use at least one method of paid advertising and that the average number used is three. Your content may be getting lost in the crowd by your competition’s content if you’re not already incorporating paid media into your promotion strategy. Paid media in general is pretty self-explanatory; it’s any tactic that requires a brand to pay for using the channel. Think of these tactics as the sparks that get the bigger flame going. Using paid media, you can ensure the messaging you create is placed in front of the audience according to the channel’s targeting capabilities. It’s right there with owned media when it comes to the amount of control you have. Nowadays, almost any organic promotion tactic has a paid counterpart. To help keep them straight, you can break these down three main categories: sponsored social updates, sponsored articles and sponsored recommendations (also known as content distribution networks). They key to success with paid media is being deliberate about the channels you use. You could easily pay for all of your exposure, but it’s better to intentionally limit the tactics you select. A best practice is to test across various channels and budgets to see which ones perform best for your different audiences and content types. Remember, it’s a balance of control and influence – paid media provides a lot of control, but little in the way of influence. Ultimately, you have a plethora of promotion channels at your disposal and it’s up to you to use whichever tactics make sense for your campaign goals and budget. The key to getting the attention your content deserves is a well thought-out, integrated strategy that explores tactics across all channels. This is a guest post by Ashley Sherman, Director of Digital Media Relations at DigitalRelevance. Interested in learning more about how to balance promotion tactics across paid, earned, and owned media channels? Join me Thursday, February 19 for a webinar and interactive forum that will detail an actual integrated promotion strategy that increased organic traffic by 56 percent.